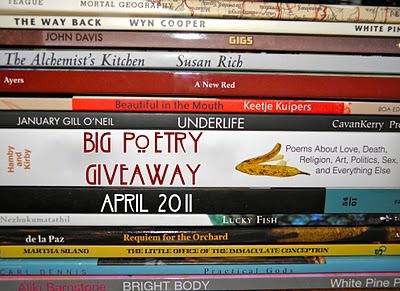 In addition to an attempt to write a poem a day for National Poetry Month, I thought it would be cool to participate in this poetry giveaway being coordinated by Kelli Agodon. 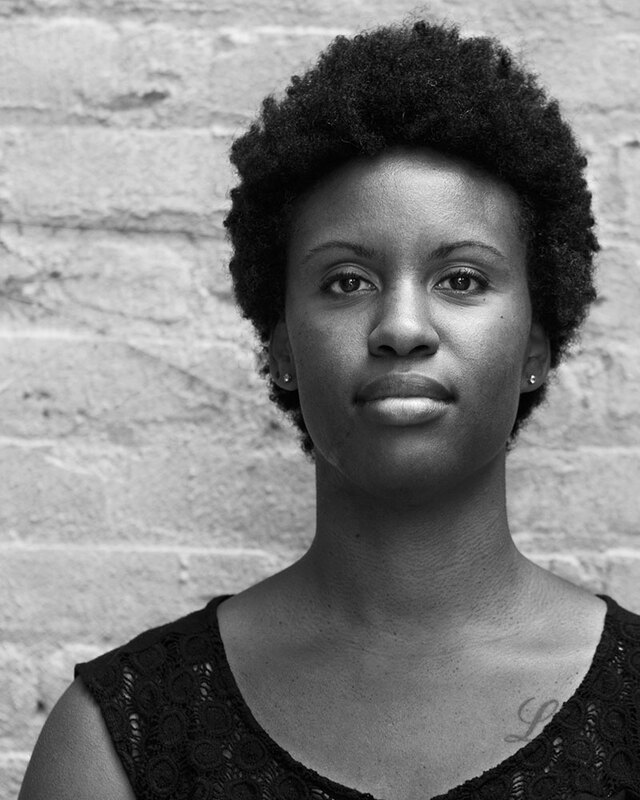 I’m a lurking reader of her blog, so here’s my way of coming out, “Hi, Kells!” (I feel like such a dork). The giveaway will run through April 30th and I’ll announce the winners between May 1 (my birthday!) and May 3, and then ship to the lucky recipients. All you have to do to enter is comment on this post with your name and the title of the book you’d like to receive. Please link to your blog/website if you have one, too. If you don’t have a blog you can leave your e-mail address in the comment section (leave it in this format: myemail (at) gmail (dot) com to prevent spambots) OR just check in here from May 1-3 to see if you’ve won. I’ll assign everyone a number and use a random number generator or somehow get my cats involved in choosing. Now for the good stuff, the books! I don’t have a book of my own yet (key word: yet! ), so in the spirit of National Poetry Month I’ll give away books by my two of my favorite poets. These books will be hard to part with, but this is for the good cause of spreading poetry throughout the world: Lighthead, by Terrance Hayes and no surrender, by Ai. For those not in the know: Lighthead won the 2010 National Book Award, y’all! I only wish I could also present Terrance Hayes to you so that he could give a reading in the privacy of your living room. He’s an amazing reader. Ok, enough gushing. 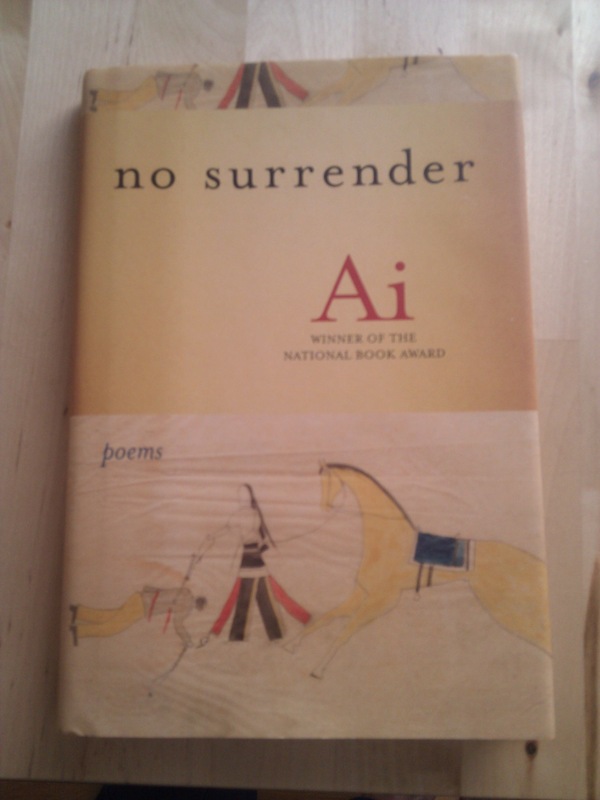 And no surrender is Ai’s (she wrote seven books and won a National Book Award, too) final book, she died in March of 2010. For more details about the contest, visit Kells’ blog here. Previous postAll I think about are KIDNEYS! Oh i love Terrance Hayes! please enter me to win! I. Want. Terrance. I was going to buy it for my Kindle, but there’s two copies left at Borders so I may wait for the poetry to be slashed even more. Heard it’s brilliant. I would love to have more books! What a great idea! Wow, I’d love to read either of these books! I love Terrance! My copy has a couple of dog-eared pages, but other than that, it’s great! I’ve read it about 4 times. You’re in, Daniel. How’s writing/life treating you these days? So, you’re in for both books, Shann? What great selections. Lighthead has been on my “wish” list for awhile now. And Ai, hard to go wrong. Please visit my website, I’m taking part as well. i would be happy to hold any of them. New name are exciting. Fantastic choices. I would love either, should I be so lucky. Count me in please. You’re in, Margo. I have to go put my name in to your giveaway now. You’re in, Erin. I love this contest, I can’t wait to enter all the other giveaways. I would love to win Ai’s book, since I already have Lighthead. I’d like to participate in giving two books away too. both books sound great! Count me in, please. Evelyn, you’re in for the Ai book. Thanks. Chloe, you’re in for both books. Thanks. I would be overjoyed to win either of these. Thanks. Wow. Two wonderful choices. Please count me in. Please count me in, and thanks for doing this. 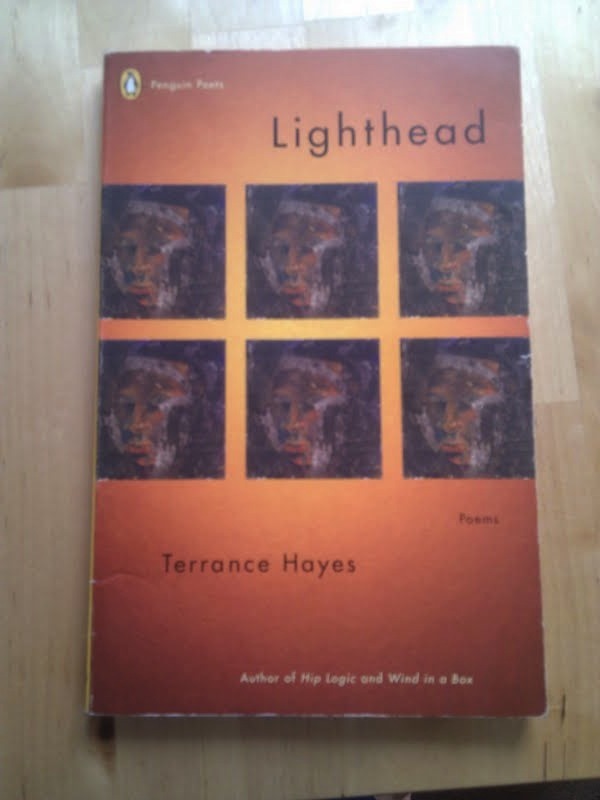 I’d like Lighthead by Terrance Hayes. Cheers! Count me in! Thanks so much for doing this! I love both Hayes and Ai. Please count me in! Thanks! Hi LaToya! I’d love to get in on your contest, and be sure to stop by my blog to get in on mine. Hope all’s well and happy writing! Thanks, Cati. I will stop by tonight and enter. Writing is coming along. I’ve already had a bad start to my 30 poems a month, but I’m hoping to catch up. Ana, you’re in for both books. Thanks! Sandy, you’re in. Tonight is the night I enter all the other giveaways. You’re in. I’ll stop by your page, too. Andrew, you’re in for the Hayes book. Thanks! Hi Mary. You’re in the contest. Thanks for entering! Hi Nandini, you’re in for both books. Thanks! To have either book would be fantastic! Thanks for doing this giveaway — I’m doing one at my blog, too. I want to be a winner! I want Lighthead to be my winnings. And please click on over to my place to take part in my giveaway. And please come to my blog and sign up for my giveaway. Thanks, Sam. You’re in for both books. My shelves are overflowing! I need to make room. You’re in. Sherry, I’ve entered you in the contest. Thanks!